System Testing includes testing of a fully integrated software system. Generally, a computer system is made with the integration of software (any software is only a single element of a computer system). The software is developed in units and then interfaced with other software and hardware to create a complete computer system. In other words, a computer system consists of a group of software to perform the various tasks, but only software cannot perform the task; for that software must be interfaced with compatible hardware. System testing is a series of different type of tests with the purpose to exercise and examine the full working of an integrated software computer system against requirements. There is four levels of software testing: unit testing, integration testing, system testing and acceptance testing, all are used for the testing purpose. 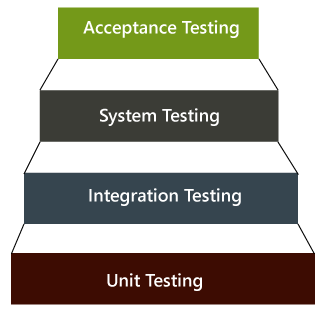 Unit Testing used to test a single software; Integration Testing used to test a group of units of software, System Testing used to test a whole system and Acceptance Testing used to test the acceptability of business requirements. Here we are discussing system testing which is the third level of testing levels. There are mainly two widely used methods for software testing, one is White box testing which uses internal coding to design test cases and another is black box testing which uses GUI or user perspective to develop test cases. System testing falls under Black box testing as it includes testing of the external working of the software. Testing follows user's perspective to identify minor defects. 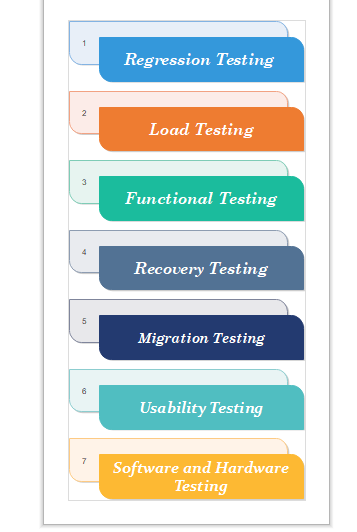 System Testing includes the following steps. Verification of input functions of the application to test whether it is producing the expected output or not. Testing of integrated software by including external peripherals to check the interaction of various components with each other. Testing of the whole system for End to End testing. Regression testing is performed under system testing to confirm and identify that if there's any defect in the system due to modification in any other part of the system. It makes sure, any changes done during the development process have not introduced a new defect and also gives assurance; old defects will not exist on the addition of new software over the time. Load testing is performed under system testing to clarify whether the system can work under real-time loads or not. Functional testing of a system is performed to find if there's any missing function in the system. Tester makes a list of vital functions that should be in the system and can be added during functional testing and should improve quality of the system. Recovery testing of a system is performed under system testing to confirm reliability, trustworthiness, accountability of the system and all are lying on recouping skills of the system. It should be able to recover from all the possible system crashes successfully. Migration testing is performed to ensure that if the system needs to be modified in new infrastructure so it should be modified without any issue. The purpose of this testing to make sure that the system is well familiar with the user and it meets its objective for what it supposed to do. This testing of the system intends to check hardware and software compatibility. The hardware configuration must be compatible with the software to run it without any issue. Compatibility provides flexibility by providing interactions between hardware and software. Why is System Testing Important? System Testing gives hundred percent assurance of system performance as it covers end to end function of the system. It includes testing of System software architecture and business requirements. It helps in mitigating live issues and bugs even after production. System testing uses both existing system and a new system to feed same data in both and then compare the differences in functionalities of added and existing functions so, the user can understand benefits of new added functions of the system.